With the combined experience of Rick Schue and Dr. Tamra Schue-Garberg, Altaire Clinic provides the best resulting Halo laser treatments in Fargo, ND. Everyone has different needs for their unique skin. At Altaire, we customize your Halo treatments to fit with your busy lifestyle. We can provide a light treatment to create smooth, vibrant skin that’s ready for makeup the very next day. Or, we can go with a more intense treatment that will give your skin a youthful glow with just a few days of downtime. 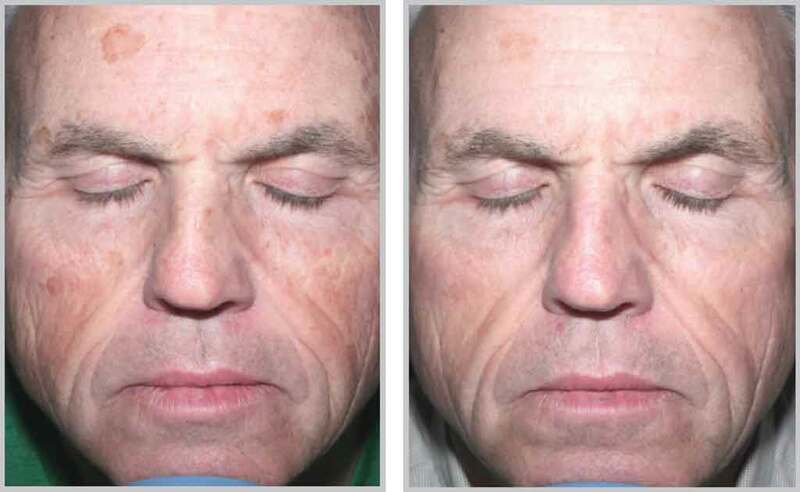 Halo’s innovative photorejuvenation technology custom-targets age spots, sunspots, fine vessels that cause redness, unwanted melanin responsible for pigmented lesions, small facial vessels, epidermal dark spots, and large pores. Halo restores your skin to its natural luminous beauty, blending its natural colors and creating smoother, glowing, reflective, vibrant and younger-looking skin. Additional benefits include reduced fine lines and wrinkles. At Altaire Clinic, we offer two different laser options in this category. The basic “Halo” procedure is fast and easy while offering great results. The “Halo-Pro” procedure is used for more aggressive treatments. 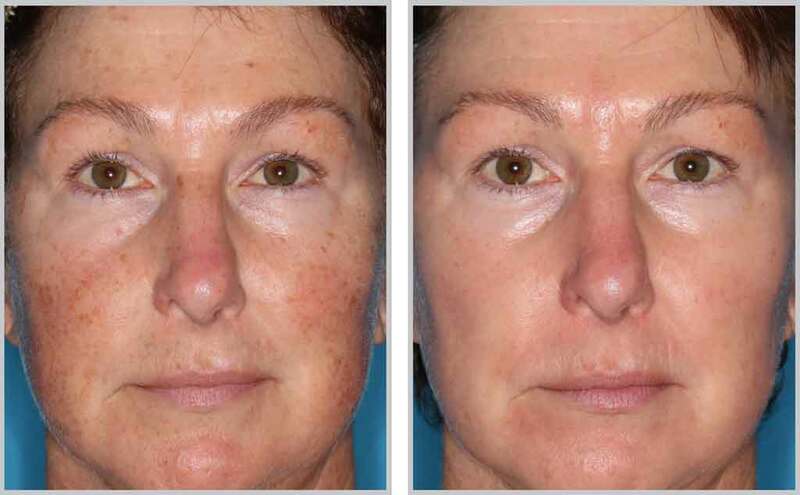 Below, you can see the difference between the two laser treatments. The procedure requires a numbing time of about 10-20 minutes prior to the procedure. The laser uses a 1470 laser setting which is adjustable in depth and density of treatment area. The 1470 laser works by sending columns of heat-based beams under the skin destroying the epidermal and dermal layer in its path. This causes a denaturing of protein in the targeted areas ridding the skin of unwanted tissue and skin impurities. In reference to downtime, it is typical to see red and irritated skin for up to 5 days. The nice thing about the basic Halo is that you are able to put make-up on 24 hours after the procedure if you need to return to your daily activities. If you have more damage and have more downtime, the “Halo Pro” would be a great option for you. This treatment requires a numbing time of about 20-30 minutes prior to the procedure. The laser utilizes both the Halo 1470 in addition to an ablative 2940 laser. The laser is a heat-based beam causing the denaturing of cellular protein (1470) and the ablative (2940) beam destroying all selected targets. The combination of the two lasers create synergistic results. Altaire Clinic recommends the more aggressive Halo-Pro for individuals with a lot of sun damage, acne scars, pre-cancers, large pores, wrinkling of the skin, and/or if a person desires/needs a more aggressive treatment. The downtime for the Halo Pro is 5-7 days. Altaire Clinic recommends not putting on make-up for 72 hours after the procedure to help optimize the results. A person can anticipate varying degrees of red inflammation, swelling, and rough texture for a few days. At Altaire Clinic, we have the option to add Platelet Rich Plasma (PRP) to enhance results of your Halo or Halo-Pro treatment. This reduces the healing time by 30-40%. Halo-Pro is an ablative laser and that allows a channel for the PRP to utilize to get under the skin. The Halo can add micro-needling to open channels for PRP absorption (PRP Facial). The Halo and Halo-Pro can be aggressive laser procedures, but the results are phenomenal. Please keep in mind that each patient is unique and your results may vary. Altaire recommends a consultation to discuss all treatment options. At the consult, we will take special photography to see what kind of damage is under the skin. This allows us to adjust your laser treatment to get desired results. If I Don't Have Much Downtime, Can I Still Get A Halo? Yes, a light Halo requires minimal recovery time. What’s great about Halo is that you can choose how many treatments you want! At Altaire, your provider will discuss your needs with you. You can then choose to have one or two more aggressive treatments or have multiple treatments that are less aggressive and achieve a similar goal over a longer period of time. Fifteen to Thirty minutes before the treatment, your provider may place a topical anesthetic on your skin to reduce the sensation during the procedure. The area will be measured with motion tracking technology to ensure the area is treated evenly. Your provider will treat each measured section by uniformly rolling the Halo hand piece over the skin until the treatment is complete. For the first 24 hours, you should keep your skin protected according to your provider’s instructions, but after that you should be able to go about your normal activities. For a facial treatment, you will see very little change on the first day. After two to three days, you will develop a light bronzing appearance. By day three or four, your skin will peel, revealing your new skin beneath. At Altaire Clinic, every Halo treatment is customized for your skin, and your lifestyle. Depending on your needs, your provider may recommend a single treatment, or a series of treatments. In order to find out which is the best option for you, please contact us to setup a consultation.